Josef D. Houska's experience is founded on business transactions and estate planning, which developed into handling contested business, intellectual property, conservatorships, Wills, Trusts and probates, and financial abuse matters. Mr. Houska has served the public interest in many roles. From 2006 to 2008, Mr. Houska was a member of a Financial Abuse Specialist Team, along with the FBI, the District Attorney's office, the Sheriff's Department, Adult Protective Services, the IRS and other entities. From 1999 to 2006, he served as a member of the steering committee for the South Coast Business and Technology Awards Dinner, which raised net proceeds of over $100,000 every year since 2001 for charity. Mr. Houska received his J.D. in 1990 from the Loyola Law School in Los Angeles, receiving the American Jurisprudence Awards in Property and Insurance Law and obtaining an Editorship of the Loyola Law Review. Mr. Houska earned an M.B.A. in 1986 from the University of California at Berkeley ("Hass School of Business"), during which he was selected and served as a Washington Campus scholar in the District of Columbia and an International Exchange Program scholar at the London Business School. Mr. Houska received a Bachelor of Arts Degree in 1982 from the University of California at Los Angeles. From 1996 to 2006, he was an associate at Hatch & Parent and at Mullen & Henzell. 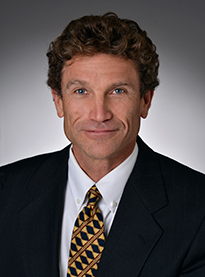 He joined Valle Makoff LLP in 2010 and became Senior Counsel with the firm in January 2012. Houska, J., The Doctrine of Virtual Representation of Incapacitated, Minor, Unborn and Unascertained Beneficiaries in Relation to Notice of and Representation in a Probate Code § 17200 Proceeding, California Trusts and Estates Quarterly, Vol.10, Issue 4, Winter 2004.